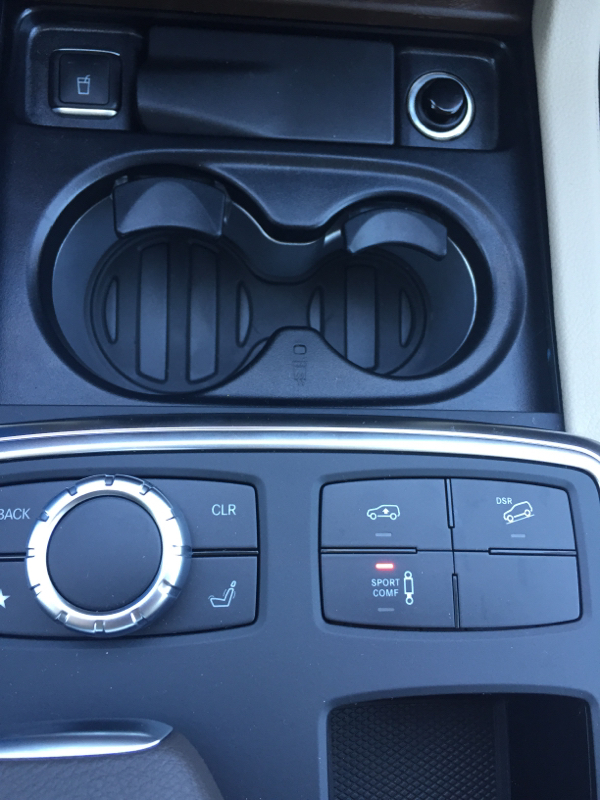 For those of you with Airmatic, how often do you use Sport vs Comfort? I find myself using comfort 90% of the time since the ride is much smoother, I find the sport too rough and bouncy... however I love the lower look of the car so I would sometimes do Sports especially I know the roads are smooth. just a thought, do you find sport too bumpy? is there a way to lower the car but keep it at the comfort setting? I use sport like you for looks, and for my kids to enter and exit. I don't have side steps. But when going along twisty roads it really enhances handling. Going up the mountain the rolling comfort mode is too soft and makes people sick inside. There is a bar that you install about $200 that will lower it in comfort mode and may keep it soft. Search for the ml63 here that did it. I prefer the firm, planted feel. Idont think i have ever driven anywhere without using sport mode, it should be able to be locked on. Sport 99% of the time... switch to Comfort only if the road is in really bad shape. Comfort 99%, sport 1% in pothole country (Canada) sport is too harsh. After 3 years of driving a C350 I'm pretty much done with anything sport. 99,9% of the time I'm in comfort mode. Strafzettel, that's a good use. I usually pull back on the signal arm & give them bright bi-xenon and am always complemented with a finger. driving alone: 95% sport mode , i like the lowered look since I am on 22" wheels. On hwy, better feeling and control. I switch to comfort once in a while if the city streets are bumpy. In sport mode Until the wife rides with me. I'm a bit of a princess (if one could look like a burly badass dude) and Spend most of my time in comfort mode. But sometimes it's just nice to take off like a bat out of hell and I go sport mode off the line at a green light.....especially if there is a BMW M series anything beside me. Have not been beaten yet - though I am now addicted and intend to upgrade to the ML63 within a couple of years. For (responsibly) weaving through traffic on the highway, it is very hard to beat the amazing feeling of sport mode - but I don't like the bumpy roads. I can't believe how comfort mode absorbs all those bumps to make them almost not noticeable. Not to be undone, I used the sport mode on the highway this week, the ride was harsh to say the least, but the cornering ability was superb. I will be traveling the mountains in a couple of months and will try again. I switch mine constantly: Sport if the road allows, Comfort if it feels like crap due to a ****ty road surface. Generally this means Comfort around slow streets in town, Sport on the highway unless it's an old, pock-marked or rhythmically-bouncy highway (I hate that). I tow a lot (28' Airstream) and I generally leave it in Sport for that as well, unless the road is just brutal. Much better feel to it that way; towing a heavy load in comfort is pretty floaty, but sometimes you still have to do it just to keep from beating the crap out of your trailer (and yourselves) on a bad road. I didn't know that about pulling a trailer ciparis. Does anybody else use sport when pulling a trailer? What is the problem created if you use comfort? I have a 13' ML550 with 35K miles on it. 95% sport, love the throttle response/tighter steering/lowered look and tighter handling. 5% auto(comfort) for horrible roads in NY. I tow a 25' sea Ray mid cabin that's 6500lbs and the trailer is another 1600lbs. On the ramp I start out in tow mode because it locks the center diff when you pull away which helps with sea weed, slick concrete etc. Then I switch back to sport for the more stable ride and it's just plain fun to see the looks on people's faces as my kids, dog and I accelerate past them with a giant boat behind us. Bring the V8TT back to the USA Mercedes!!! Am i correct that 2012 ML-350 Sport is only for the suspension? I can't tell any difference between throttle response and steering, the only difference I can tell was the ride height and stiffness.... Is 2013+ different? 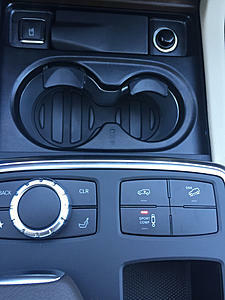 You are correct for the 2012s--sport/comfort adjusts the suspension only. Unsure about later years, but some models were available with the on/off road option that adjusted transmission characteristics and possibly other items in addition to the suspension. 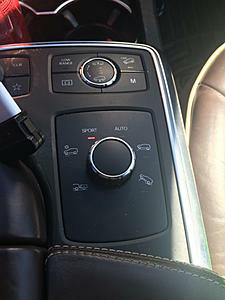 My apologies, I didn't mention that I have the on/off road package with the six driving modes. I use the sport mode extensively on the highway now. Comfort is great in the city and on gravel or mashed up pavement. In BC, Canada the Choke-'n-Hauler Highway #5 @ 120+ km is great in sport. I find that cruise control on this highway maintains speed consistently even on the steepest grade. i have a 2014 ML550 and believe sport mode only adjusts the suspension and not the drivetrain. anyone care to enlighten me. If I'm by myself - SPORT MODE, BABY!!!!!! And I keep the volume on my Valentine1 Radar detector Cranked! If I'm driving others, then I drive in a docile manner using comfort mode. Have H&R lowering springs on my 2015 ML250. Great improvement in handling & little difference in the ride. Have "the look". To me this is a good combination. See pics @ my post " My Lowered ML". Last edited by greasykid; 07-05-2015 at 04:42 PM.